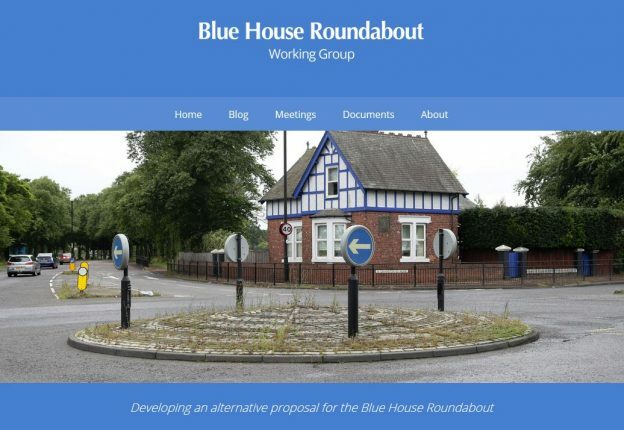 The Blue House and Jesmond Dene Road Working group met on Monday 28th November. The notes from the meeting have been uploaded to the working group’s website. This was our fifth meeting so here’s a quick recap of what we’ve covered already (not in any particular order or priority). At our fifth meeting the proposed speed limit changes for the whole stretch of Great North Road (which will be taken to public consultation shortly but are a mixture of 40mph on open spaces reducing to 20mph in built up areas) were covered, and the traffic modelling data for the previous designs was explained and reviewed. The challenge with traffic modelling data is that it’s only modelling around the junction and therefore works in isolation. Graham Grant, Head of Transport Investment confirmed that the council engineers do model for the network and that this exercise would be undertaken when the Working Group had finalised its preferred alternative plan. However, as the three plans had already been largely rejected for a variety of reasons the presentation of this modelling data was more an educational exercise. 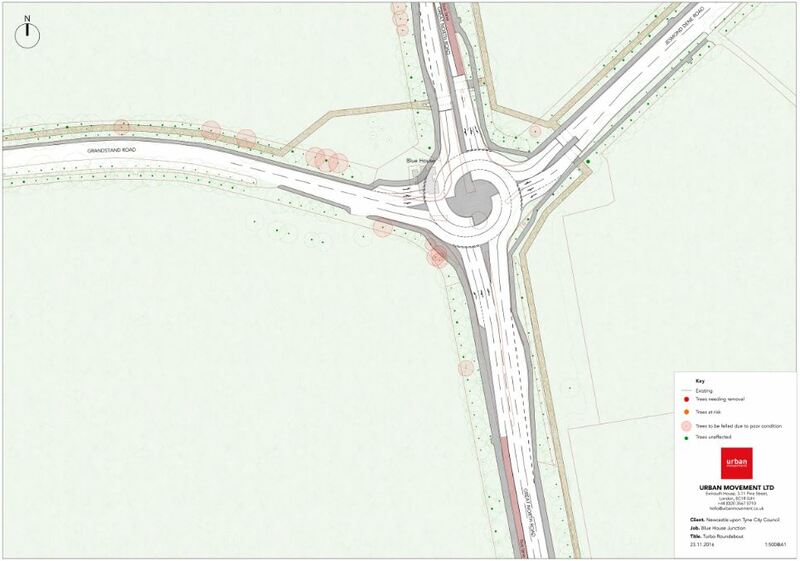 John Dales presented a new design which extended the concept of the ‘turbo’ roundabout, discussed at a previous meeting. The first turbo roundabout in the UK was implemented in Bedford in 2014. It was disliked by cycling campaigners as there was no separated space. However at Blue House, cycle lanes can be accomodated away from the main carraigeway. The new design extends the turbo design from a previous plan and intrudes into the Moor space by using space currently occupied by the Blue House itself. This design maintains the current volume of vehicle lanes but through the use of a staggered roundabout introduces greater lane discipline and reduces vehicle speed. The red circles are trees that are unhealthy, end of life, or dangerous and have been identified by research undertaken by arboriculturalists. The light brown lines that run parallel to the roads are footpath/cycle track. 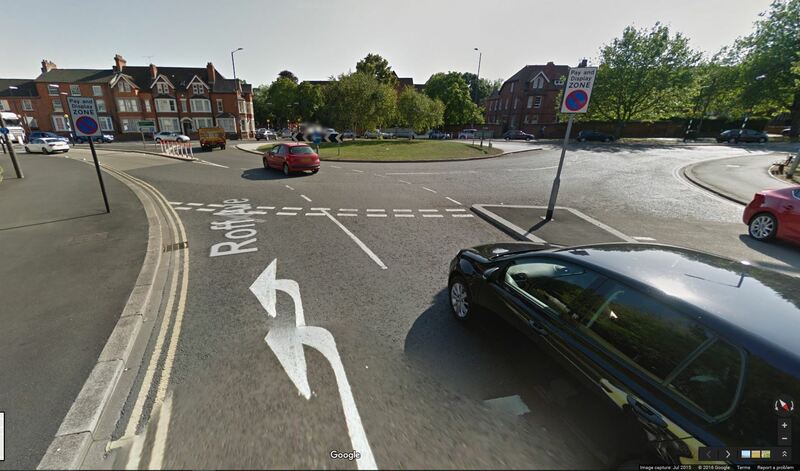 The traffic modelling data for this roundabout will be provided at the next meeting. The design of pathway/cycle track away from the road is welcomed. It should be borne in mind that this plan is another proposed plan and the Working Group is free to make modifications. Any proposed design will likely go through several iterations of refinement. For the first time, the Working Group considered Jesmond Dene Road heading towards Haddricks Mill. The junction at the top of Osborne Road has restricted space due to the width of the Metro bridge. 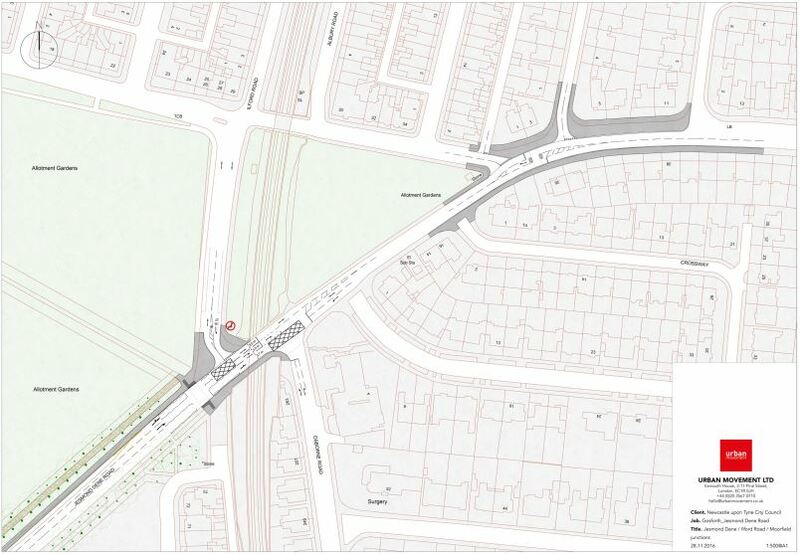 The siting of the pedestrian crossing between Moorfield and Beatty Avenue is welcomed. Another productive and thought provoking meeting. We’ve certainly come a long way in a relatively short time! The next meeting will take place on Monday 12th December 2016. If you have any questions or comments, you can email SPACE at spaceforgosforth@gmail.com, leave comment on this post, make comment on our Facebook page or add comment to the bluehousegroup.org posts. This entry was posted in Blue House on December 6, 2016 by SPACE for Gosforth.